Turkey hunting is an exciting challenge for many hunters. A successful hunt leads to wonderful dishes that can extend to several meals. 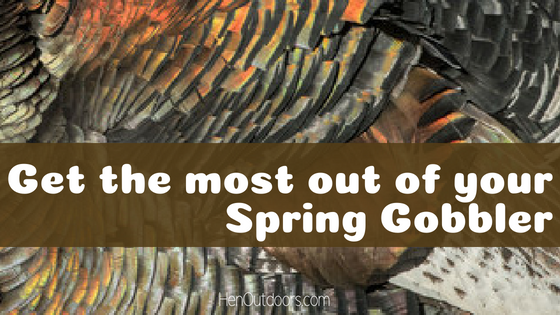 Don’t miss out on additional ways to enjoy your harvest by creating ways to utilize your spring turkey feathers! From interior design to tools for the outdoors, we are excited to highlight just a few of our favorites! 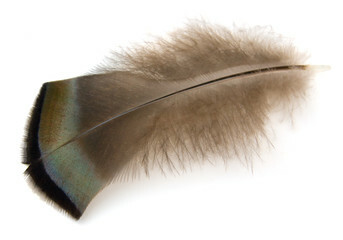 To use your turkey feathers after a hunt, pull from the base of the feather, or the quill. This will remove the feather in its entirety. You will want to clean the feathers to eliminate any pests that came along for the ride. One method is to store them in a Rubbermaid container with moth crystals to kill any mites. It’s easy to show your passion by decorating your home with feathers. 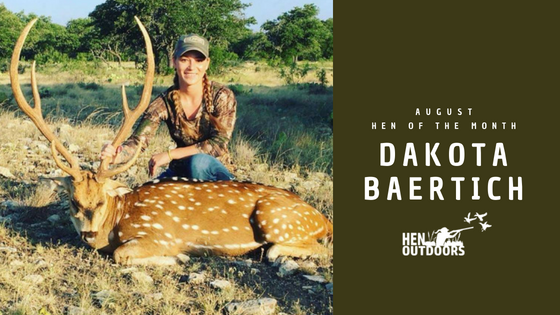 Tail fans are just one of the ways you can display your successful hunt. 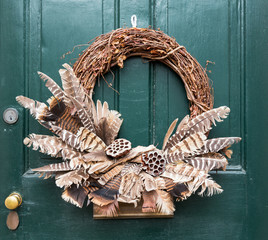 Turkey feather wreaths are increasing in popularity. Wing, breast and tail feathers all make wonderful additions to a display. Personalize it even further by adding feathers from other species you’ve harvested! To begin, select a grapevine wreath (you can purchase these at many home goods stores), then add any number of turkey feathers to create a design that fits your style! Accessorize it with ribbon, garland or flowers. Hot glue and florists wire helps keep everything in place. 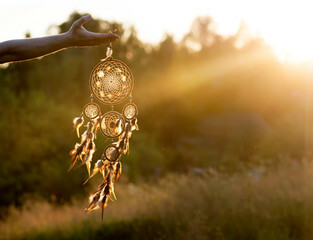 Create an elegant dream catcher or a child’s mobile. Start the next generation off right by giving them a glimpse of the wonders the future will hold. Take an embroidery hoop, feathers, thread and you’re set! Add in beads and charms for additional flare. To make this DIY Turkey Feather mobile, tie one end of the string around the quill of the feather, and the other end of the string around the hoop. Add in beads if desired. Feathers can be dipped in gold or other paint colors to brighten a room! 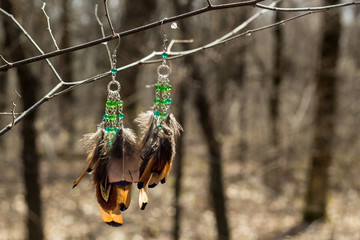 Accessorize your wardrobe by adding a lovely turkey feather necklace or earrings! Breast feathers work well for this option in both size and color! Visit your local hobby store to pick up material. You will need, round-nosed pliers, two crimp beads, two eye pins, two French hook earrings, and your feathers. Strip the ends of the feathers for an easier attachment to earring hook (about ½ inch). Add a crimp bead around the quill of the feather and insert an eye pin into the crimp bead. Use pliers to tighten the crimp bead around the feather. Make sure the feather and eye pin are secure. Open the bottom loop on the French hook earring with pliers. Next, slide the loop of the eye pin onto the French hook earring loop. Close with pliers. Now you’re ready to create the second earring! There’s nothing like fresh cut flowers to brighten your day. Turkey feathers add an extra pop to any floral arrangement. 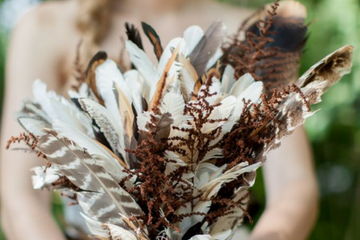 Throw in a wing feather or two to really help your bouquet shine. How about fishing with feathers? You can create simple flies from your spring bird to land multiple species of fish! 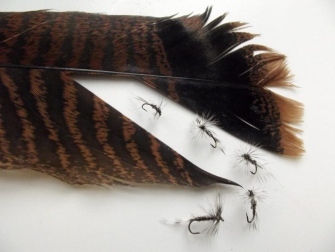 Visit Wandering Root’s blog for a how-to on tying a turkey tail nymph! 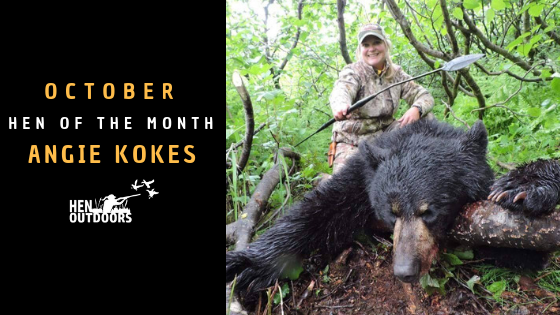 Planning on bow hunting in the fall? 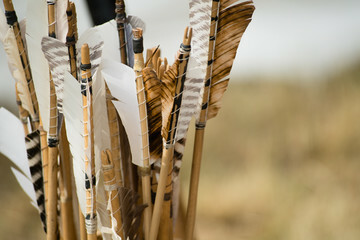 How about creating new fletchings for your arrows out of turkey wing feathers? Useful, personal and beautiful! Add a little paint to make them easier to find! To accessorize your arrow, start by cutting off the bottom part of the quill and split the quill in half lengthwise. This can be done with a sharp blade or scissors. Sand the bottom of the quill, making the front edge of what will become the fletching very thin. Cut the fletching to the specific length and shape you want. 4-5 inches is a good start at approximately ½ inch wide. Place three fletching’s around the arrow, spaced evenly. Utilize a strong super glue to hold the fletching in place securely. Allow ample time for the glue to set. Finally, the true test. Send that arrow out! There is no lack of art and purpose that a turkey feather holds. These are just a few examples of some fun and useful ways to make the most of your harvest! Show us some of your ideas in the comments on our Facebook page!